KahnChat isn't just a traditional mobile payment app but it takes the very best of other apps and combines them together for more features to simplify your daily life. Making a payment, voice chat, video chat, text messaging, social media follows and so much more. As a KhanChat user, he/she can easily make fund transfers to friends or family without knowing their bank account details. Funds arrive at the recipient account instantly. The KahnChat app incorporates more than just normal chat features associated with most communication apps, it is a one-stop app for every user between the ages of 18-65 years. The app can be used for messaging via text, voice, video, paying bills and funds transfer, order payments, user-story sharing and for increasing fans and follows of business and public figures. The social media penetration has changed the way people live; now the same shift is happening in the way people make payments. The user needs more than just mobile payment: making fund transfers without knowing the recipient bank account details, make virtually unlimited payments, communicate with the seller/company/artist/services without need to download multiple apps or interact with slow websites. The user needs a One-in-All app that takes the very best of other existing apps and combines it for more features to simplify the daily life. 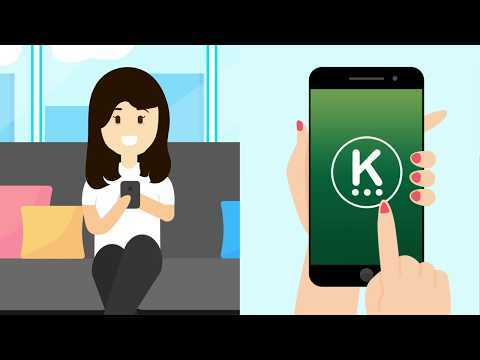 KahnChat app is the app for what the user's demanding for; it can make payments for purchase almost regardless of the amount in fiat- or cryptocurrency, funds can be transferred to any KahnChat user, text messages can be sent, chatting via voice or video to single or multiple parties is possible along with file sharing and a lot more. User features include the option to add friends from the address book or by scanning a person’s QR code. Life stories can be shared including pictures and videos with optional further engagement through comments. Users will be able to create groups, invite friends to groups, following famous artists by scanning his or her public QR code for latest updates and news.